2 homes... 1 low price! Check out this .53 ACRE property conveniently located near the city limits of Dade City. Only .7mile from nearby schools and 1.4 miles from local hospital. Would make an excellent rental or demo existing homes and build your new home here. Save $1,000's on impact fees and utility fees. 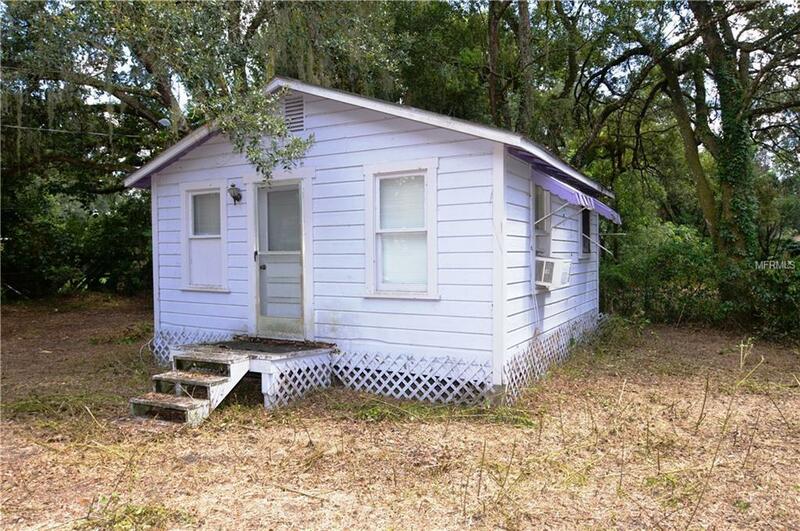 Situated on a county maintained dead end street with very low traffic yet only a few blocks from SR52. Sale includes existing 324 sqft bungalow plus 12'x44' single wide mobile home which is not habitable in it's current condition. Buyer responsible for verifying impact fee credits and viability of replacing 2nd home with Pasco County permitting.